In the UK we are a nation of pet lovers. But when it comes to which animal reigns supreme, dogs take out top spot with 26 percent of us identifying as proud pooch owners. 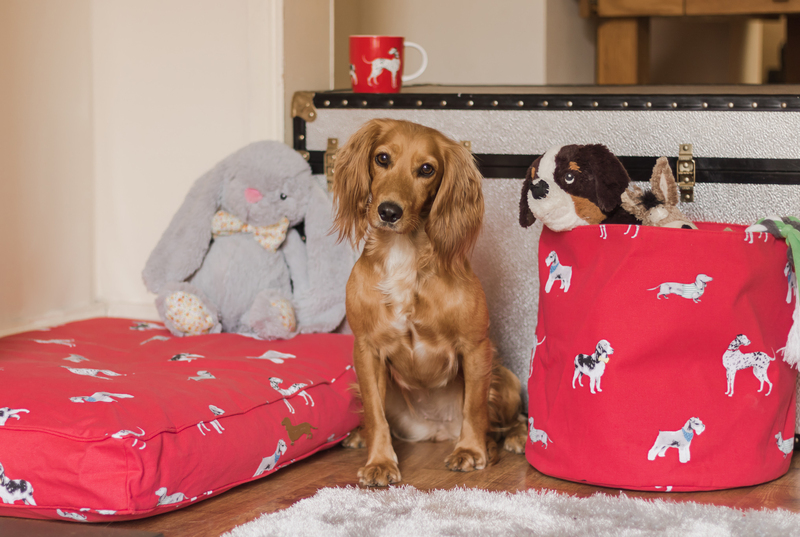 To celebrate National Pet Day, Sally Hay of UK dog blog WoofWagWalk shares her tips for seamlessly integrating dog accessories into your home without compromising on style. More and more of us are now including our dogs in nearly everything we do, from holidays to eating out, our pooches certainly make every occasion more fun. 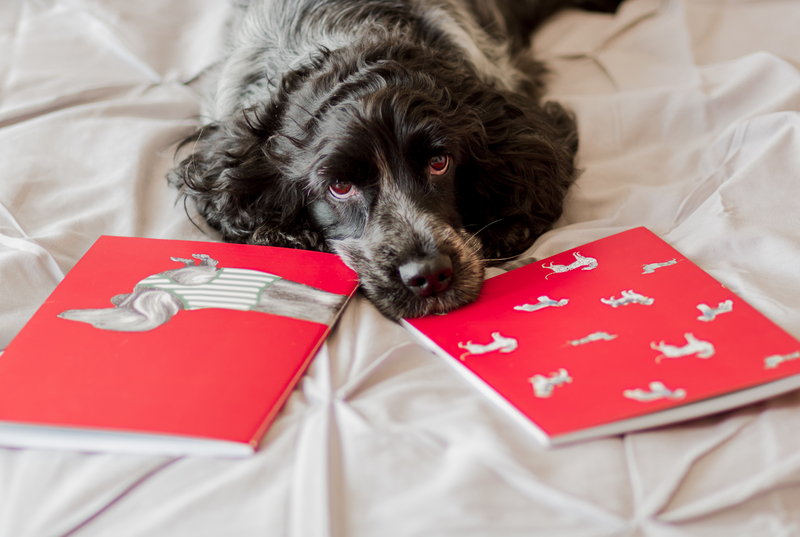 Taking part in National Pet Month is a great way to celebrate our furry friends and you can pick up some useful tips to enhance your dogs life too. 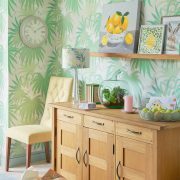 Of course most dogs spend quite a bit of time indoors, so I was thrilled when Laura Ashley invited me to share my tips on creating a home that works for those of us on two legs as well as four without sacrificing style. Living a dog friendly lifestyle means giving some extra thought to your interior dog-erating. Wooden or tiled floors are obviously easier to maintain than carpet and throws and blankets are essential if you opt for fabric sofas. In my home I allow my dogs to wander wherever they want, so of course sometimes they run in from the garden unannounced, I’ve found placing doggy mats in strategic places means I don’t have to get the mop out too often! Dogs spend over half their lives snoozing so giving some thought to their sleeping arrangements is essential. Thankfully purely functional, unsightly dog beds, stuck out in the utility room, are now confined to the history books. 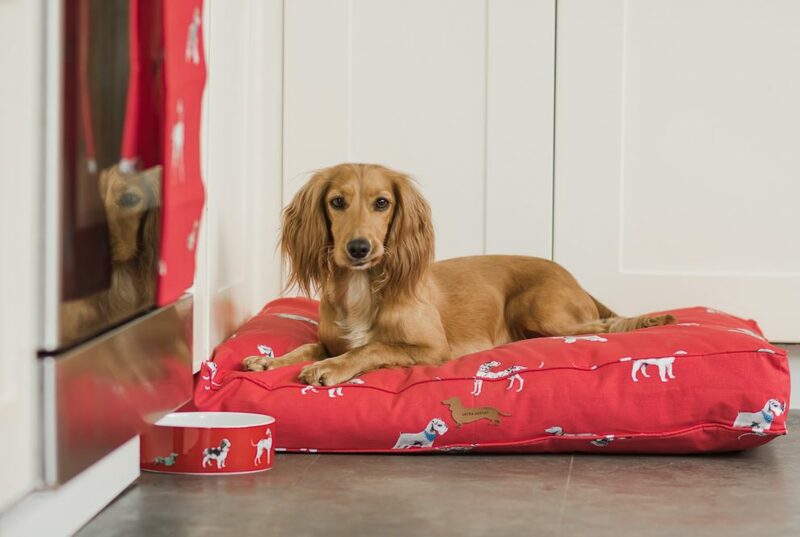 Instead most of us are choosing stylish, aesthetic dog products that fit in with our décor for our four legged friends. Personally I love pieces that express my girls vibrant personality which is why I adore the “Dogs on Parade” range from Laura Ashley so much. My pooches are both literally obsessed with their new “Dogs on Parade” bed, it must be extra comfy! Maya and Lucia, my two cheeky cocker spaniels, have beds dotted all round the house, so they can keep one eye on me whatever I am doing. Because dogs perceive the home in a totally different way to us and love a den like environment I try to place beds in an alcove or in a spare corner. 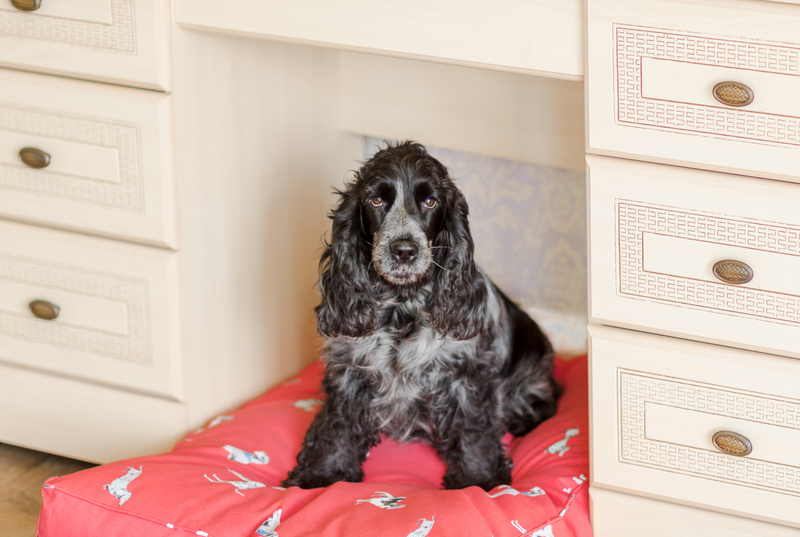 Under the stairs would be a perfect space for your dog to call their own if you have an open plan house. Not only will your dogs feel safe and secure when they settle down for a snooze but it adds interest to an often unused space. If like me you are one of the 40% of people in the UK that let your fur baby come up to your bedroom at the end of the day, you might want to consider putting a comfy bed under your dressing table at night – since I did this Maya and Lucia have preferred to cuddle up there instead of sleeping on the “big” dog bed and much as I love being close to my girls I value a good nights sleep more! I love to see my pooches having fun, so have to admit to buying them far too many toys. It’s a good idea to position toy boxes in the rooms they frequent most often to save you finding a trail of balls from the kitchen to the bedroom. My top tip for a tidy house though is training your dogs the “put away” command, my pooches so enjoy playing this game, but be warned if you leave your gloves laying around it might be a case of finders keepers. The Dogs on Parade dog toy storage basket is perfect for this, and looks so much more stylish than a chunky toy box too. Now that so many of us crazy dog ladies are out of the closet we can embrace our desire to mix and match our dogs accessories to compliment our outfits. 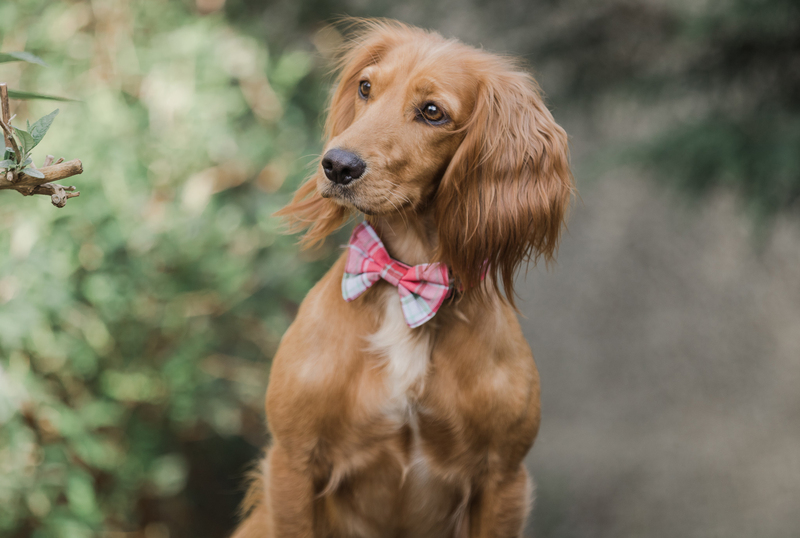 The dog collar with matching bow tie, bandana and lead from the Dogs on Parade range are just so gorgeous and fabulous quality too, I think Lucia really approves of these additions to her wardrobe. To be honest I get just as much of a thrill hanging a new set for the girls on their lead hooks as I do when I put away a new dress of my own. I also love to dot some dog inspired homeware around my house. 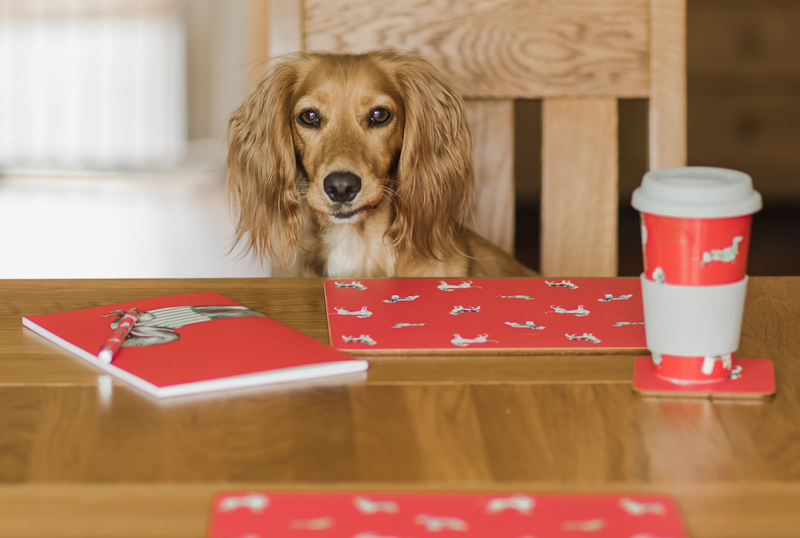 The fun and funky items from the Dogs on Parade range co-ordinate with their doggy products and have definitely added a touch of woof to my home, hopefully they will soon be brightening up yours too.